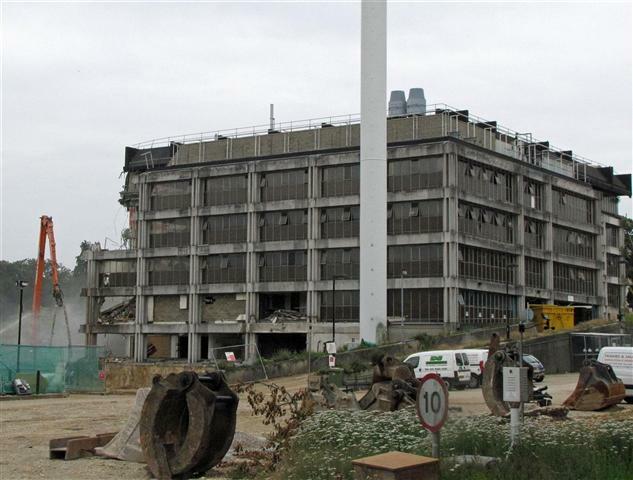 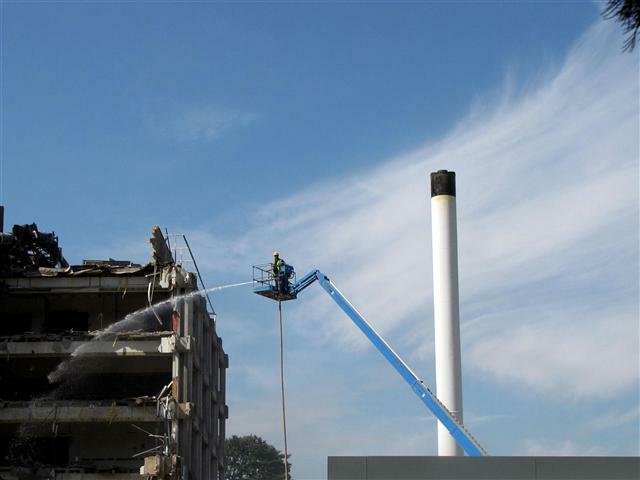 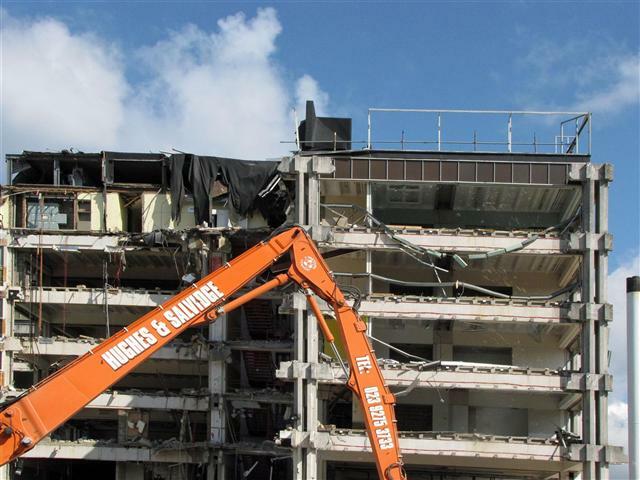 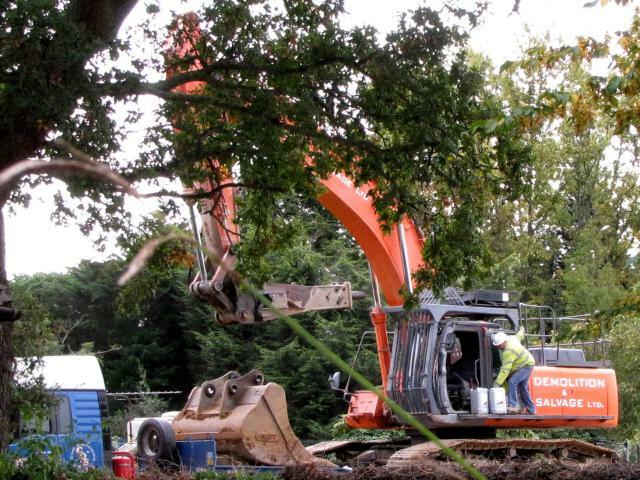 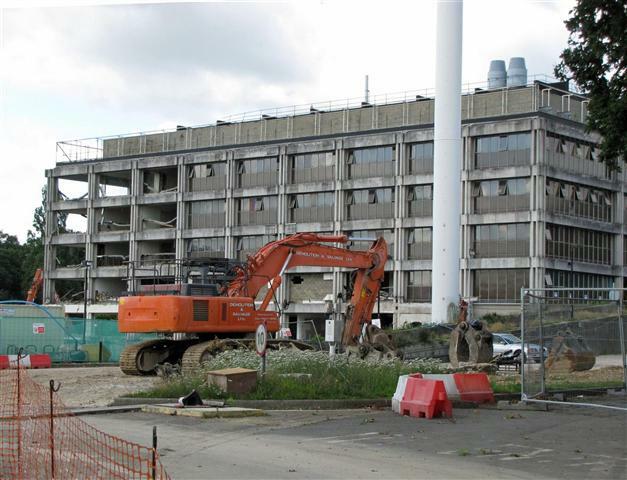 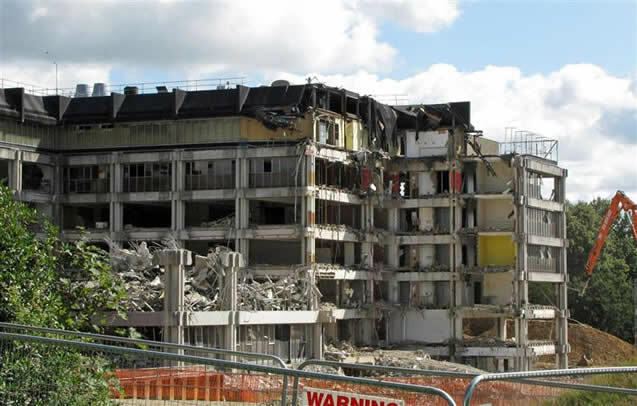 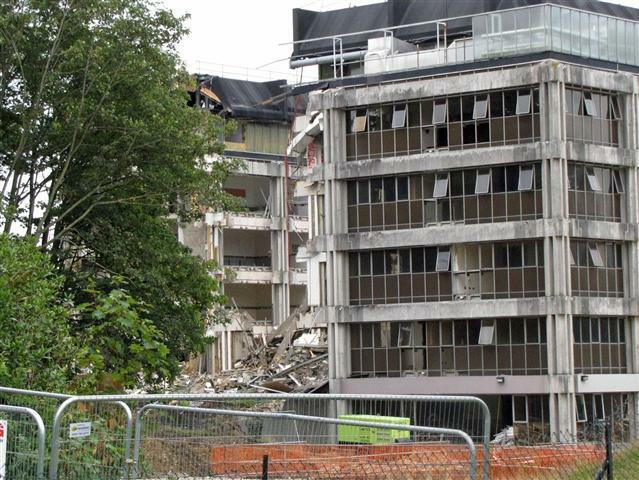 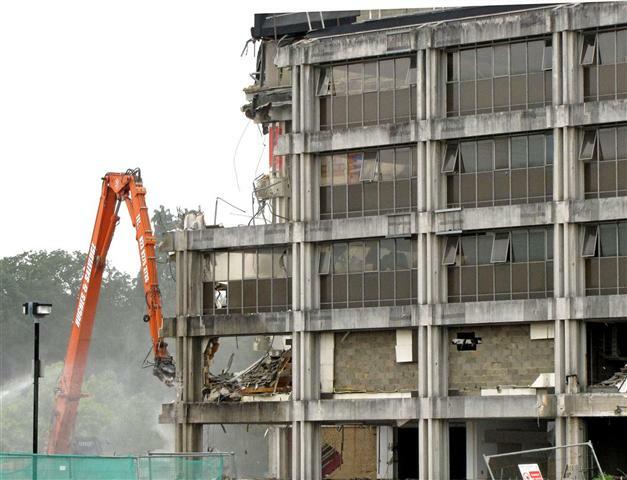 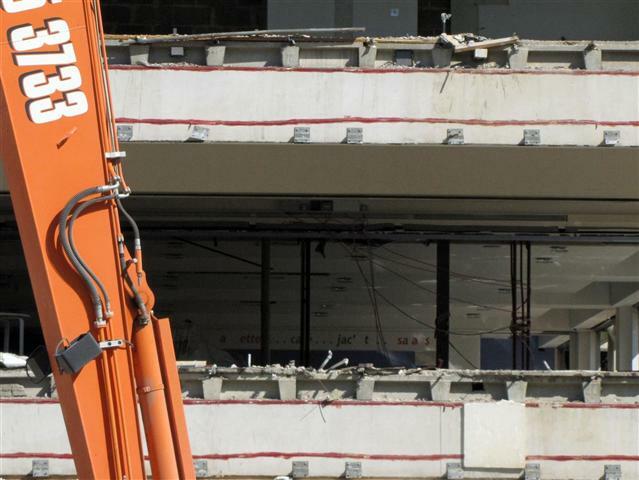 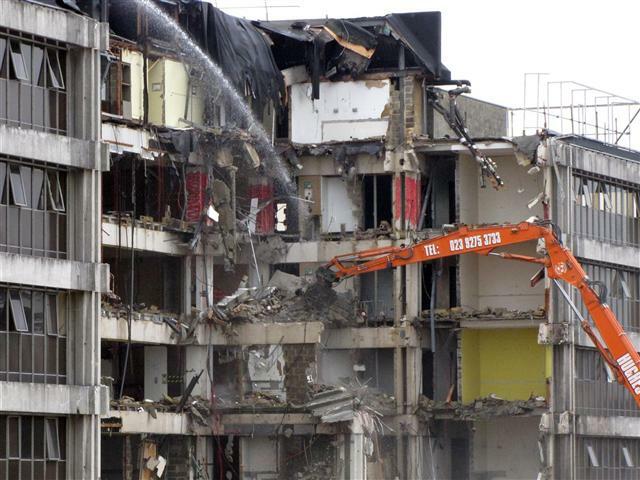 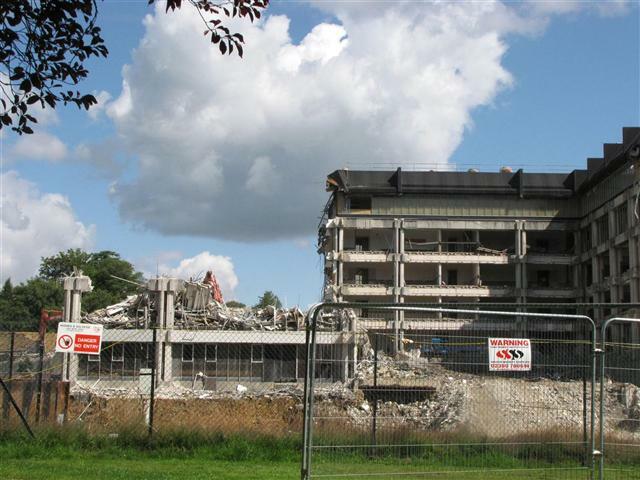 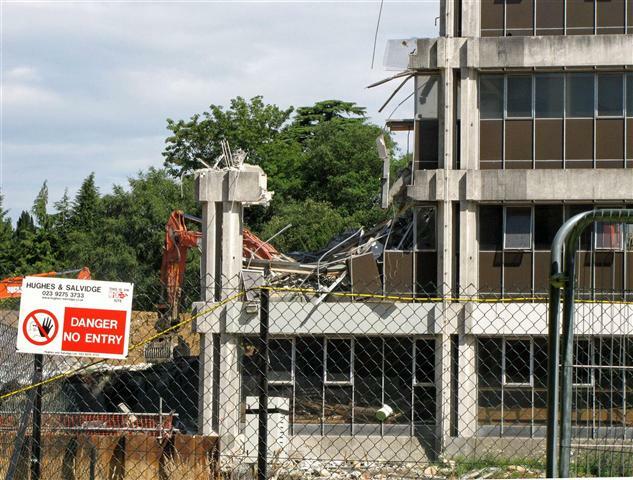 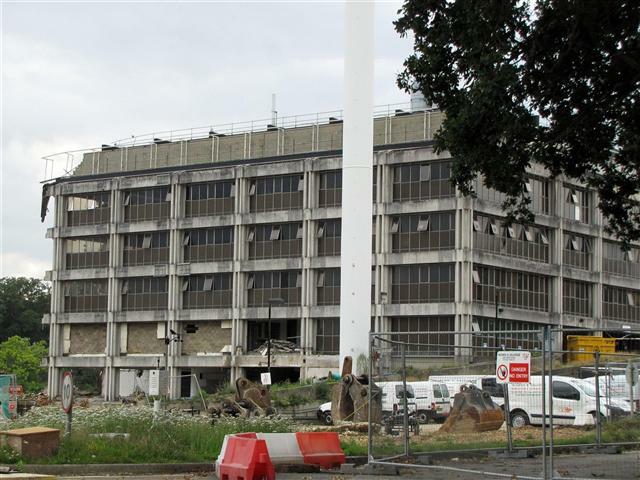 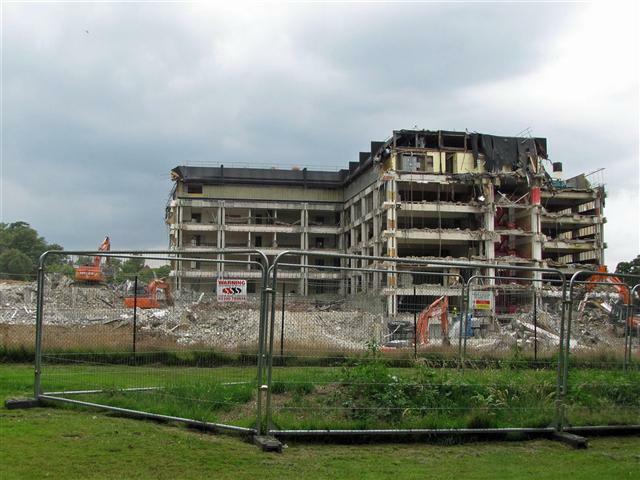 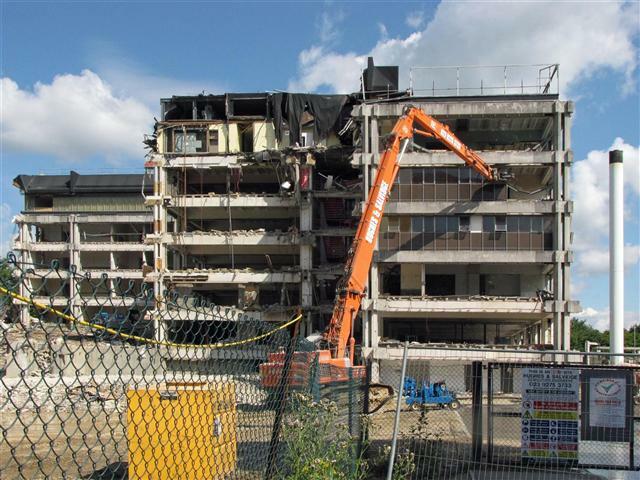 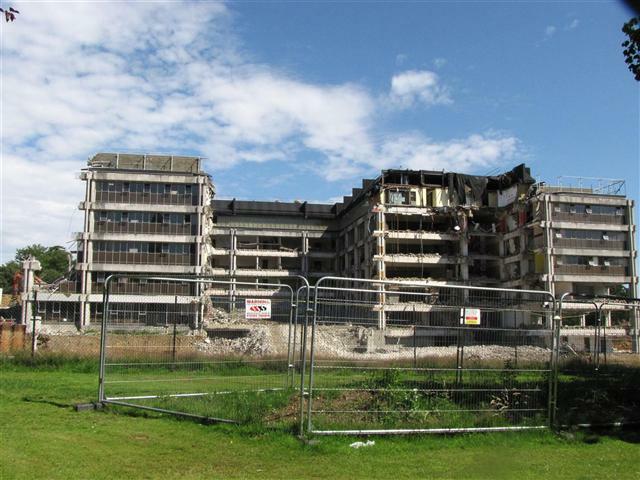 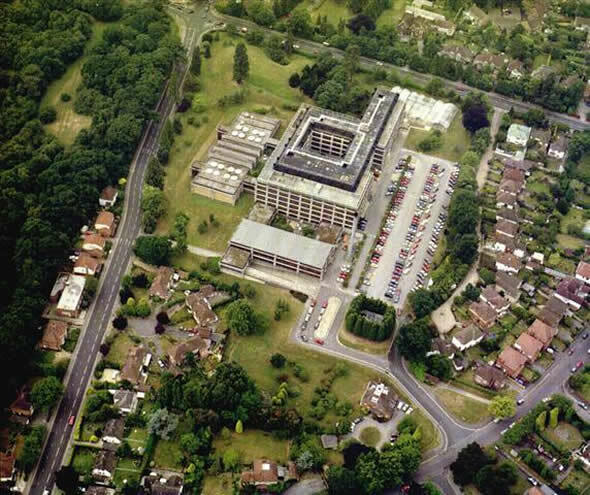 The Medical and Biological Sciences building [No 62], in the University of Southampton has now been demolished. 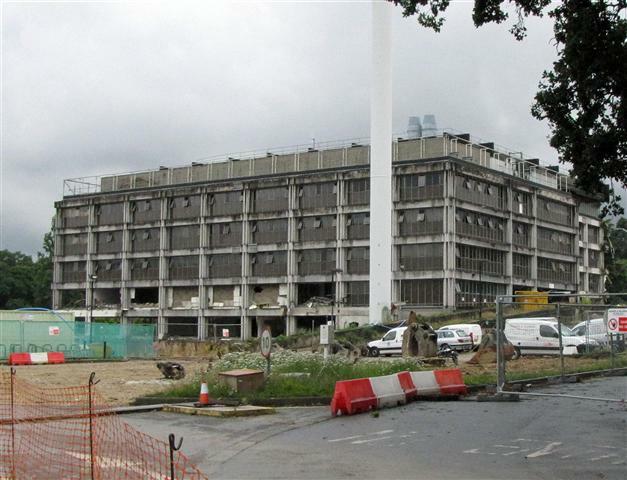 Planning for the building started the week that I started as a lecturer in 1967 in the Physiology and Biochemistry Department [Head of Department, Prof. Ken Munday]. 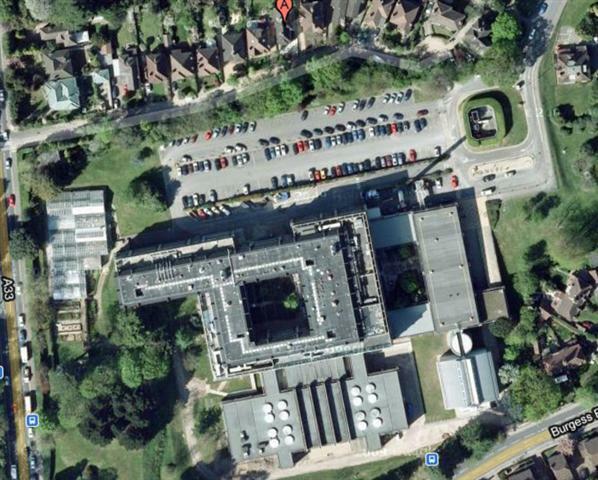 The building is known as Boldrewood and is seen here when bright and beautiful. 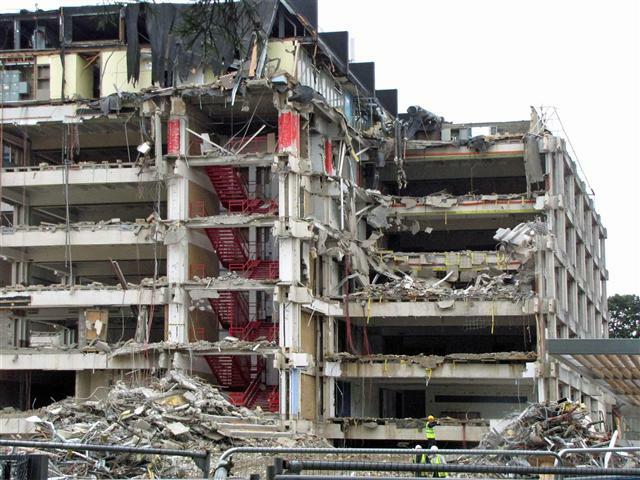 As it decomposed with age to an ugly stained grey it became known as Bolditz. 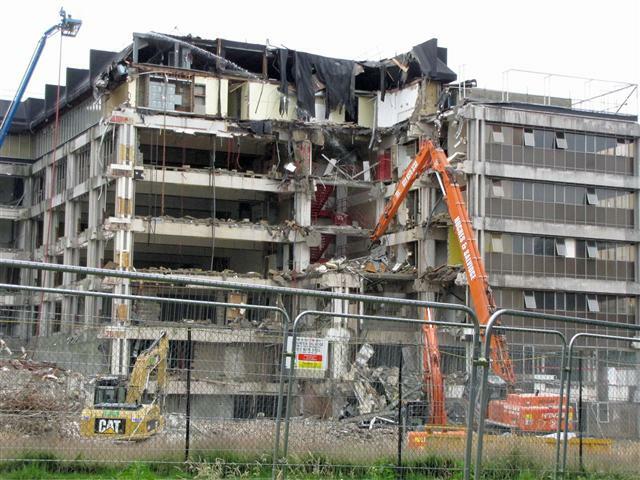 This is a record of its demolition by Hughes&Salvidge (Demolition). 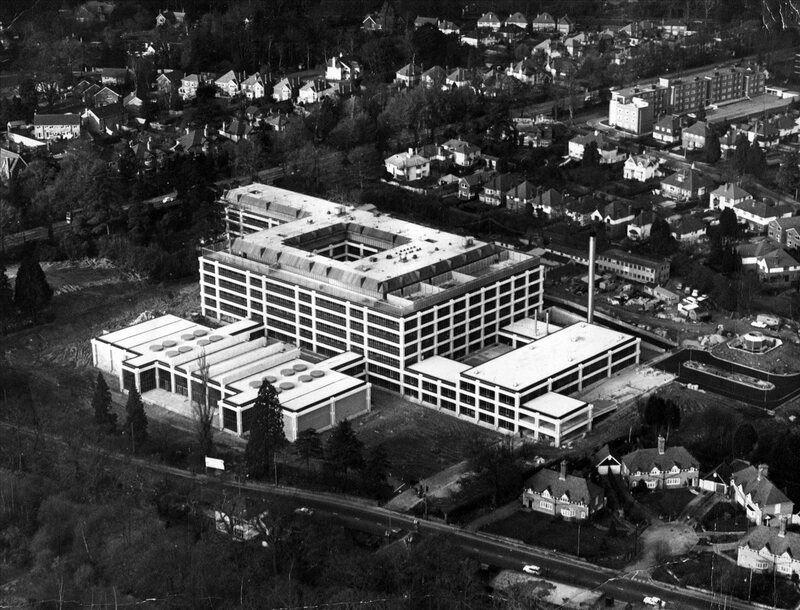 PICTURES Most of these are now arranged in four sets based on viewpoint. 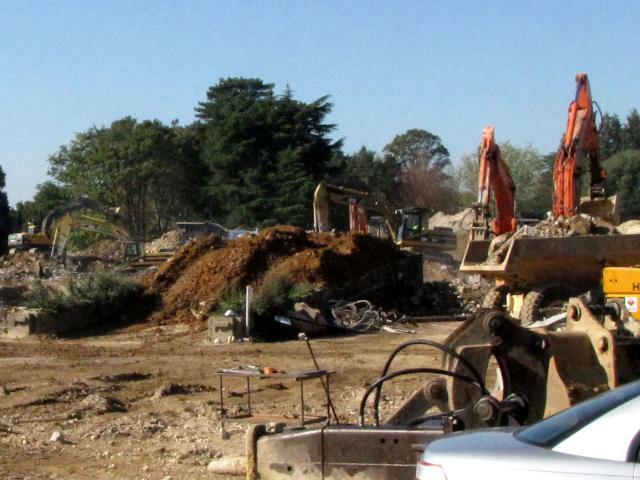 They were taken during about two months from the end of July to the beginning of October. 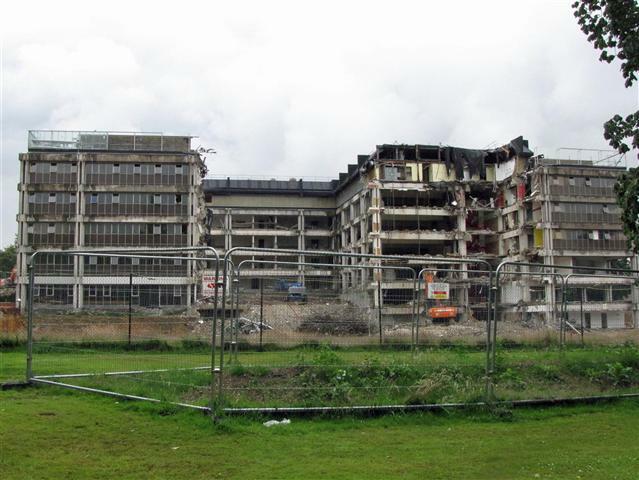 Starting on East front. 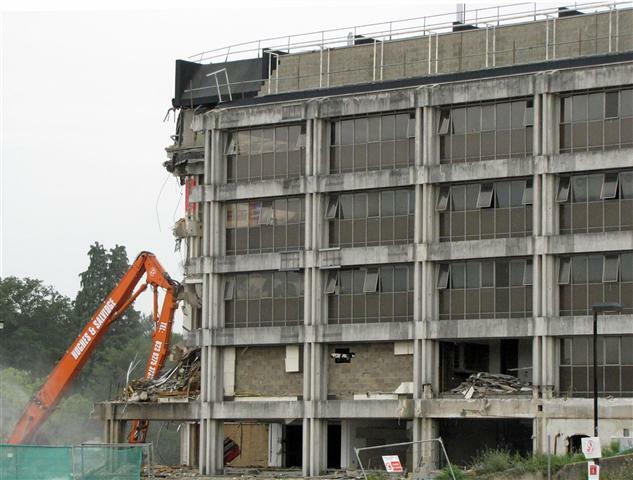 Remove window frames first. 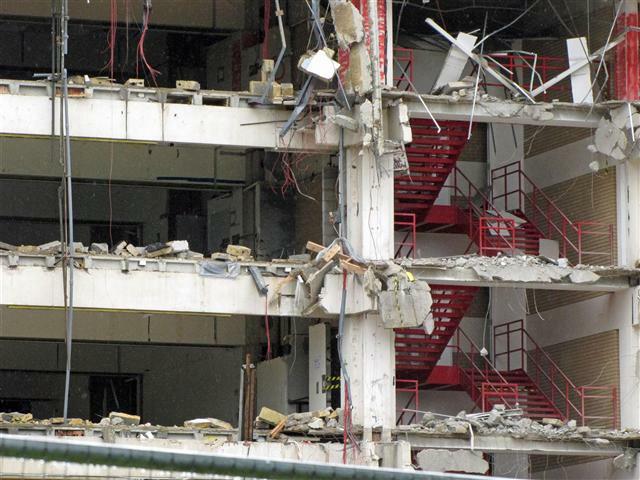 The stairwell with my favourite red stairs.